Despite not having an ounce of number skills in my own head, always having been the subject that filled me with fear when at school, it appears I have very mathematically minded children. Maya appears to be excellent at problem solving and really enjoys the addition worksheets that Leon eagerly writes for her, and has always enjoyed building and other activities regarding spacial awareness. 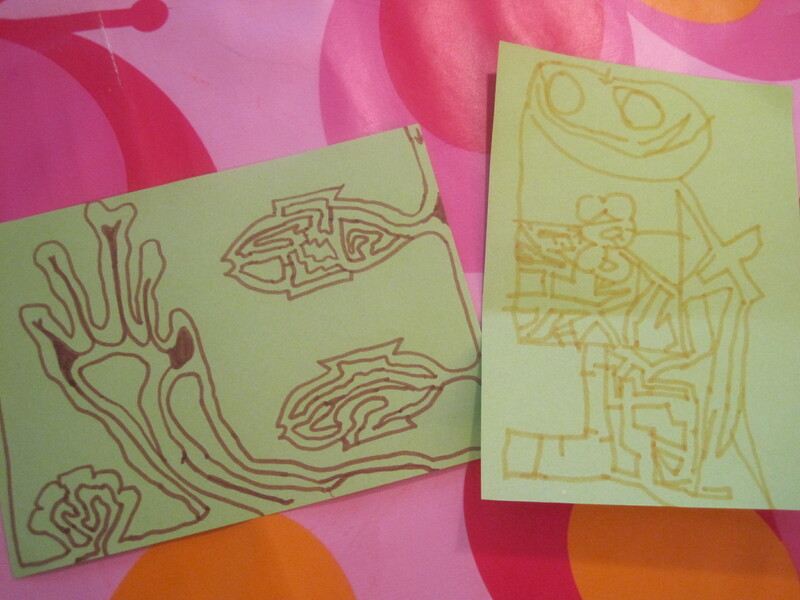 … which then led him on to attempting to draw his own mazes…. Have you ever tried to do this? It’s really really hard! These ones above were some of his earlier, easier ones, but they progressively got more difficult – my mum took one home to England with her and she completed it after two weeks! Now he has discovered a board game called ‘traffic jam’ which he hopes he will get for his birthday. Meanwhile he has to suffice with an online version , on this fantastic maths website which will no wonder lead him on to other things! Alfie, it seems, follows in his mathematical footsteps…. He will be found in this position on a daily basis, playing happily with magnetic numbers (and letters too). 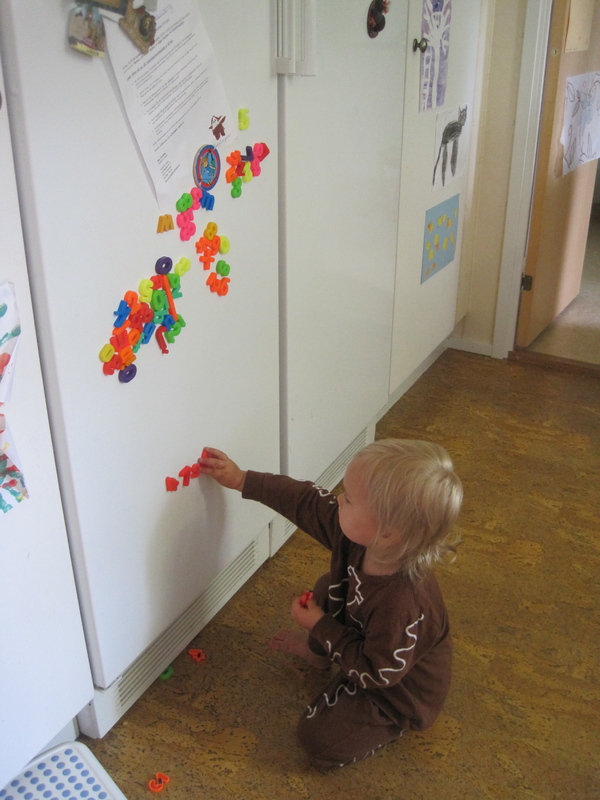 Here he appears to be sorting them into a colour group, but mostly he likes to add characters to the numbers and role play with them. Odd I know. And often I get the pleasure of joining in. Though I admit my number role play ideas are limited. I think I’ll blame this ‘number character role play’ on ‘The Numberjacks’ – a fun, and a tiny bit spooky, but excellent, television program by the BBC for young children about numbers, shapes and problem solving. My kids haven’t discovered the above website yet, but all of them love to watch the television program. And Alfie it seems has picked up on the numbers’ names and characters, and turned it into role play! 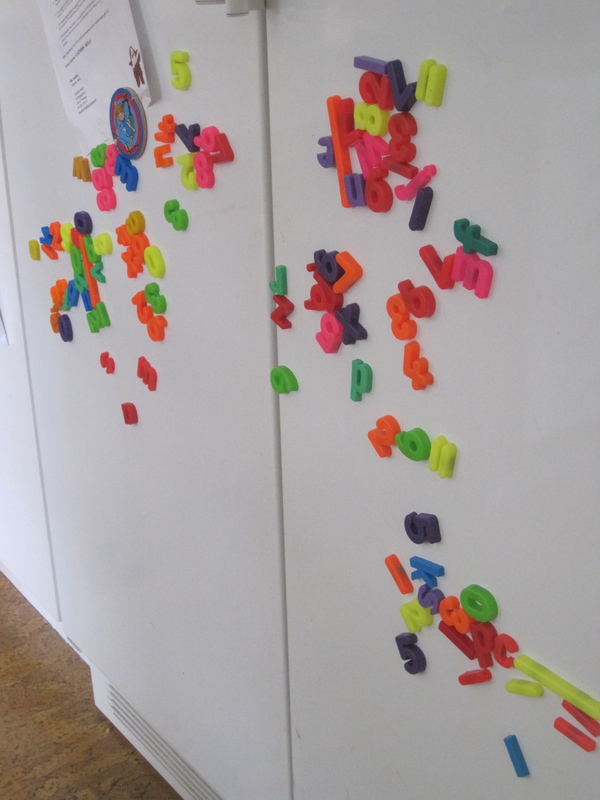 I just love it how children can learn so much from their interests and enthusiasms – don’t you? Bravo Leon! And bravo you for making sure to provide the tools and materials he need to expand and explore his interests. 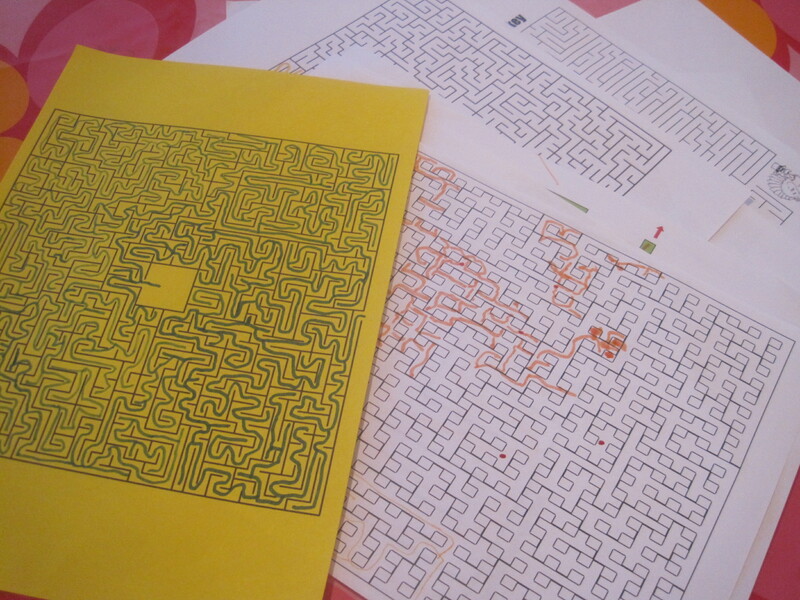 I love that he made his own mazes! The Numberjacks – I just checked it out! Too much fun. I am tempted to order a DVD since we apparently can’t get episodes in our area – even on the internet. At least that is what BBC is telling us. Very clever. 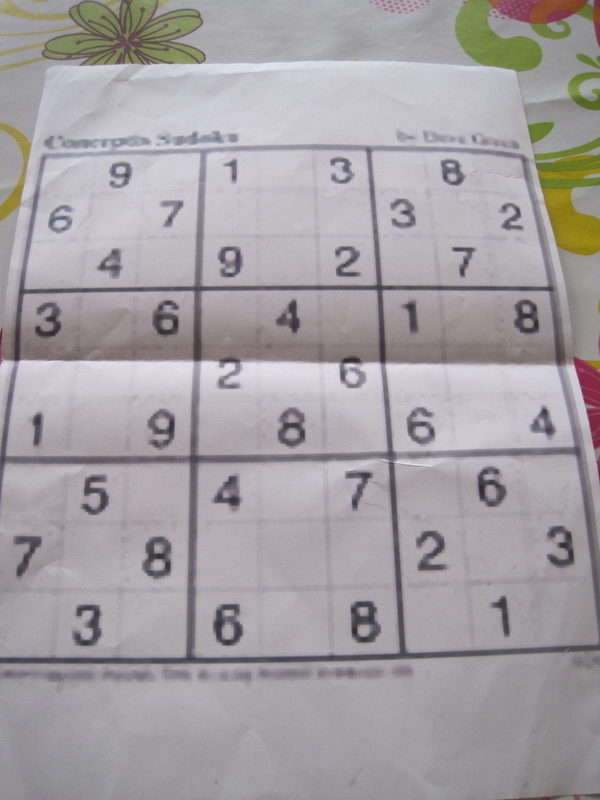 No wonder you children are so into numbers! I got the biggest kick out of watching the little mini programs. You know I am a grown-up kid – right?